This past Sunday we had a rough pre-service rehearsal. Probably the worst I have experienced in awhile. Our new drummer was having a hard time pulling it together and getting extremely frustrated as a result. It wasn’t that he hadn’t prepared. The problem was, our 3 songs were quite challenging, especially for a new drummer. We had less than 30 minutes left of rehearsal and we couldn’t even make it through our opening song without falling apart. Our drummer walked off to take a breather before his frustration got the best of him. In this moment I had to make a decision. It was clear that the opening song wasn’t going to come together. So, we either cut it altogether or replace it with something else. I decided to replace it with a song we had done the previous week. We went through it a couple of times and were good to go. I would have rather done the original opening song but it is much better to have a team that is at peace than one that is scared to death we will fall apart mid-song. To be honest, I was concerned about what would happen during worship. Although we could get through each of the songs, the last song on the list was still pretty rough. But, I put the Word to work and chose to ‘be anxious for nothing (Phil 4:6)’ and put it in the Lord’s hands. We did our part to prepare to the best of our ability and I knew He would take care of the rest. The music was a little rough but the worship was extremely powerful. There were people up front at the altar weeping as they received their healing by the end of the last song. Our drummer was overcome by the peace and joy of the Holy Spirit in a way he hasn’t experienced in a long time. God moved in a mighty way. I tell you this story to make one point: perfection is not a requirement for powerful worship. As a matter of fact, God tends to move within our imperfection – when we finally realize that powerful worship does not henge on our skills and abilities. We should continue to refine our skill. Some would take this truth and use it as an excuse not to practice and refine their skill. But, this is just swinging from one extreme to the other. The parable of the talents found in Matthew 25 teaches us that we are to take what the Lord gives us and increase it, make it better. The Lord cannot bless someone who is lazy with what He has already provided. In short, prepare as if human ability is the only thing you can count on but lead worship knowing that you are anointed and the move of the Holy Spirit is all that matters. Spot on! Thanks so much for articulating this well. It so resonates with my heart and ministry and experience! Awesome word Kade!! I really needed to be reminded of this today. Or, apparently the enemy thought that you thought worship could only happen with a guitar and you proved him wrong! Good leadership is being able to keep things together when everything around you is falling apart. Jesus is the best at this and gave us lots of examples, like when he was sleeping in the boat during the storm and then commanded it to stop. He didn’t show any worry or fear, but a strong confidence in His authority and His Sonship! We can do the same when troubles come and you did just that! Way to go man! As a professional musician, I like to strive for perfection. Perfectly playing a note that’s not a chord tone, maybe having a little too much fun with a phrygian or Lydian dominant mode. But no matter what I do, its all to his glory. It truly is amazing when the Holy Spirit steps in and makes a beautiful noise, or in my case, when your power supply starts clipping in and out and you give your Pedals up to the Lord and surprisingly everything works. Hahaha. Worship seriously is like going on a safari. You never know what you’re going to encounter and have to work with as you go. Blessings to all my brothers and sisters. Keep the praise up! Exact thing happened to me Sunday night. God blessed in spite of us being hindered. He never ceases to amaze me. Of course practice is a key component to good worship, but, utter dependence on God is THE key to GREAT and POWERFUL life changing worship. 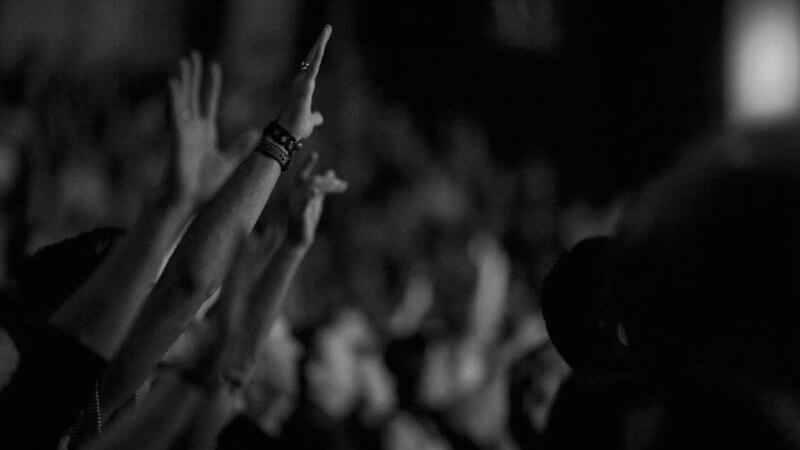 I have found that sometimes when I feel the music wasn’t that “great”, is usually when worship comes through strong. I need to just take the time, breath and let God do the rest. He is able to take care of His people! Thank you for this article. I battled stage fright for many years until God showed me that if I use my musical skills to serve Him, perfectionism wouldn’t plague me in the same way it had during piano recitals and performances. To date, I’ve helped lead worship when I’ve had a cold, barely a voice, when completely exhausted, when I didn’t have enough rehearsal time, etc. It’s usually when I’m not the most unprepared that God decides to use me the most. It doesn’t mean that I don’t strive for excellence and to be well-rehearsed, it’s just that life happens and I choose to keep serving even when things are not optimal. Thanks for your insight and confirmation of just this very thing. So have you – anyone who cares to respond- changed the arrangement to avoid that trouble spot for that Sunday and then added it in for subsequent sets? Or maybe even just kept the simple version as your standard version? I have done both, Richard, and there is no shame in changing up the arrangement to fit you. I am not saying that we shouldn’t ever improve, stretch our vocal range, etc. But, we should also learn when it is time to settle in to who we are as a vocalist/musician. For example, if your natural gifting is in the ‘baritone’ vocal range, trying to sing like a tenor all the time will just end in frustration. Hope that helps! Good stuff Kade. Thanks for sharing!